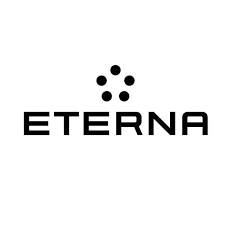 Find here Eterna coupons, vouchers and deals. Leading Men & Women’s shirt retailer ETERNA make beautifully cut shirts, offering a wide range of non-iron shirts, blouses and ties from the very best of fabrics. Available in four different cuts our men’s shirts offer a number of cuts from the lightly tailored Modern Fit, Slim Fit, Super Slim or Comfortable Fit, the ETERNA menswear range also offers Casual Fashions, Business Shirts, Polo Shirts, T-Shirts, Ties and accessories which include Cufflinks, Tie Bars, Pocket Squares, Bow Ties & Socks. The popular ETERNA womenswear range includes a selection of High Fashion Blouses, Business Shirts, Polo Shirts a variety of Knitwear and Scarves. ETERNA are proud to offer Free Deliver direct from Manufacturer with Free Returns. Buy 2 knitwear pieces  save 25£ !